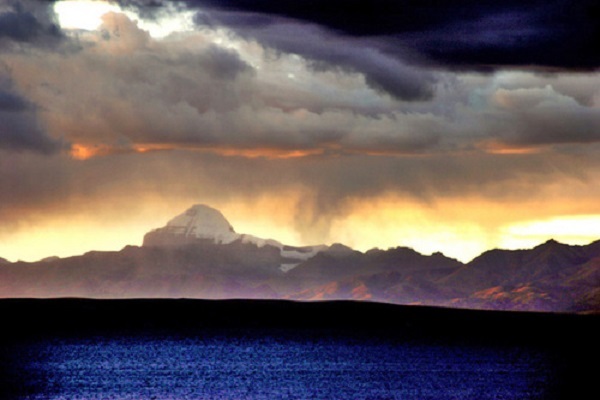 As one of the three holy lakes in Tibet, Lake Manasarovar is the jewel of the Qinghai-Tibetan Plateau. Travelers on a trek to Mount Kailash would be attracted by its beauty and mysterious. Located on the southern side of Mount Kailash, Lake Manasarovar is the world's highest fresh lake with a height of 4590 meters above sea level. Manasarovar means Immortal and Invincible Jasper Lake in Tibetan. It's the source of 4 rivers called Brahmaputra, Ghaghara, Sindhu, and Sutlej. The vast pear - shaped lake stretched for 26 kilometers in width, and the lake water is extremely clean and blue in the sunlight. 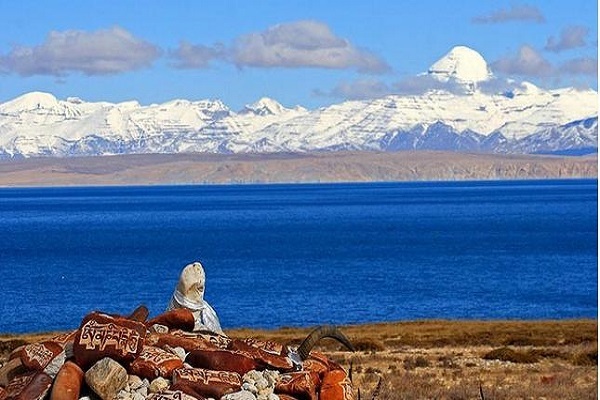 As a holy place connected to Mount Kailash, Lake Manasarovar attracts thousands of Pilgrims from Tibet, India, Nepal and other countries every year. It’s said that the water could remove sins and purify the soul. Also, it would be of great benefit to the Pilgrims to take a Kailash-Manasarovar kora. In Indian mythology, Lake Manasarovar is created by the will of Brahma. Because the son of the creator needs a bathing place after his ascetic practices in Mount Kailash. So it’s a great honor for Hindus to clean their body there. In Hindus tradition, Lake Manasarovar is the place where Shiva lived. As the destroyer and transformer within Trimurti, Shiva often takes a bath with his wife in the lake. Every year a great number of Buddhist and Hindus will make a circumambulation around the holy lake. The Hindus bathed in the source of the Ganges River and pray to Shiva, they believe this could be an experience beyond life and death. The views around the Lake Manasarovar are fascinating. The lake water exposed as a nice shade of blue in the sunlight and reflect holy Mount Kailash in the water. If you are lucky, you may be able to see the rainbow and swans. Besides, you could go camping at the lake to enjoy the glorious starry sky. 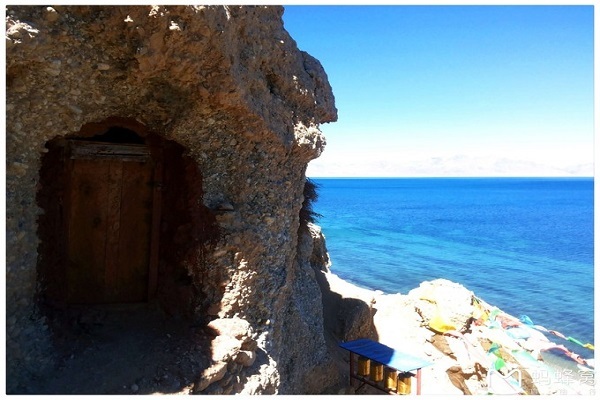 There are 8 Buddhism monasteries distributed in 8 directions by the Lake Manasarovar. Most of them are places in the different sect of Tibetan Buddhist. Today these temples are open to visitors and you can stay overnight there. The ancient Chiu Gompa is the most remarkable one in these temples. It has been built onto a steep mountain and looks as if it has been melted into the rocks after many years. You can easily take a view of the pure lake and holy Kailash. Every year from the end of spring to summer, there are a great many of pilgrims from Tibet, India, and Nepal for Kailash-Manasarovar kora. 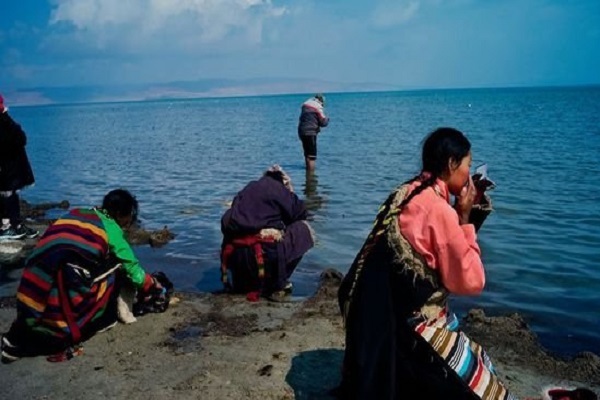 The Hindus usually would take a bath in Lake Manasarovar and drink the water of the lake. Because they believe that the water from the holy lake could wash off their sins. While the Tibetan just take a kora around the lake. Some traveler would join them and take a tour with spiritual experience.